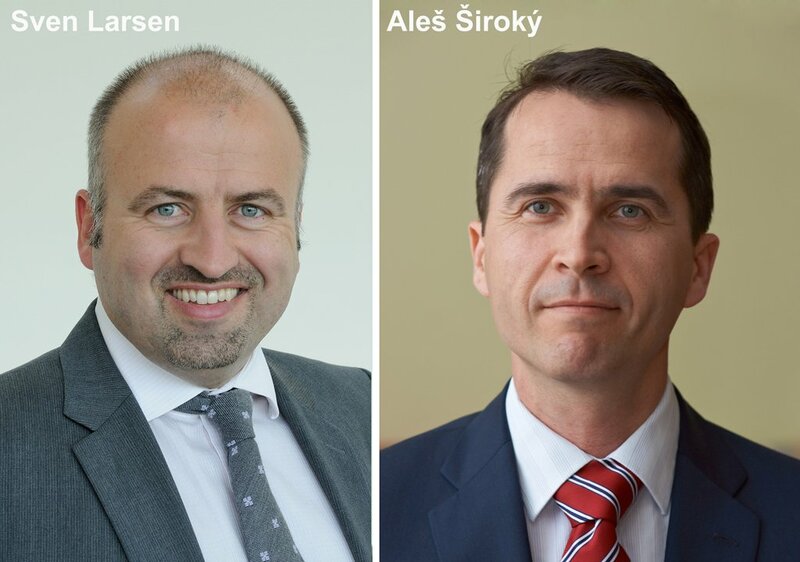 Munich/Germany, July 19, 2012 – Nemetschek Allplan makes new appointments to its executive board: Effective July 1, 2012 Sven Larsen becomes Managing Director. At the same time Aleš Široký has been appointed as Technical Director for the Munich and Bratislava offices. “We will continue to expand our market position as one of the leading producers of CAD software. Together, we want to pursue fresh and innovative ways. As a first step, we want to concentrate on the successful launch of the new Allplan version in October”, says Sven Larsen, Managing Director for Nemetschek Allplan Systems GmbH and Nemetschek Allplan Deutschland GmbH. Sven Larsen (44) is responsible for the areas of sales, marketing, IT, finance and human resources. He has many years of experience as Executive Director and CFO of international technology and innovation companies. Most recently, he was employed as CFO and MD of IHS Group, a portfolio of software and service companies in the hotel sector. After qualifying as a Chartered Accountant at Price Waterhouse London, he spent seven years at GM/Opel, amongst others in corporate audit and as head of cost engineering. He was then CFO and MD of Teleflex Medical GmbH and the German holding of the listed US conglomerate Teleflex Inc. Larsen studied at Cass Business School in London and holds an Executive MBA (Kellogg/WHU). Aleš Široký (43), the new Technical Director for Allplan in Munich and Bratislava, is responsible for technical planning, product development, product management and quality assurance. Široký began his career in 1994 as a software developer at Nemetschek and has been CEO of Nemetschek Slovensko since 2001. He has many years of expertise in software and product development. His previous management role included intensive involvement with future technologies such as cloud and tablet computing. Aleš Široký holds a masters degree in computer science from the Comenius University Bratislava.